UN DEBAT DE HAUTE VOLTIGE COMME CELUI DE CHEIKH MOHAND OUMHAND AVEC CHEIKH MOHAND OULHOUCINE. LOUNIS DANS SES CHANSONS NOUS MET DEVANT NOTRE REALITE PARFOIS TERRIBLEMENT PAUVRE D’IMAGINATION ET NOUS PLANTE DEVANT NOTRE RESPONSABILITE .SES QUATRES VERITES NOUS ECRASENT LES CONSCIENCES DANS L’ETROITESSE DE NOS PETITS SOULIERS. IL S ADRESSE A FERHAT SANS LE NOMMER ,EN EMPRUNTANT LE PSEUDONYME DE DA YOUCEF,MAIS REMARQUEZ QUE TOUT LE POEME RIME AVEC FERHAT.JE SUPPOSE QU’IL A CHANGE LE NOM APRES REFLEXION OU SUR CONSEIL POUR NE PAS LE NOMMER.PAR RESPECT OU PAR DIPLOMATIE. IL EST PESSIMISTE ET MET LE COUTEAU DANS LA PLAIE POUR REVEILLER LES DORMEURS AVEC DE L’EAU FROIDE.ET IL VEUT NOUS HISSER VERS L’UNIVERSEL ,SANS COMPLEXE, ET COMMENT!!!!! FERHAT EST VERSE DANS LE POLITIQUE ET EST IMPLIQUE AVEC DES POSITIONS AFFICHEES ET ASSUMEES .IL A LE COURAGE DE SES IDEES ,LA PATIENCE DE SON COURAGE ET LE COURAGE DE SA PATIENCE COMME DISAIT ABRAHAM LINCOLN.IL EST PEUT ETRE EN AVANCE CAR L’AUTONOMIE DES REGIONS COMME L’ALGERIE EST LA SEULE SOLUTION ET ON Y ARRIVERA UN JOUR OU L’AUTRE POUR LE BIEN DE TOUS ET VOIR DU REGIONALISME ,CE N’EST PAS AIMER L’ALGERIE,TOUT SIMPLEMENT. 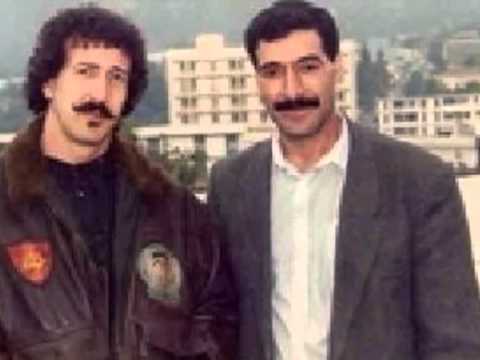 BRAVO LOUNIS ET BRAVO FERHAT ,CHACUN SON IDEE AVEC RESPECT POUR L’AUTRE ET LE PEUPLE EST POUSSE A REFLECHIR AVEC PLUS DE PROFONDEUR ,A CHERCHER ,A ECHANGER ,A SE REMETTRE EN CAUSE ET SURTOUT A NE PAS CROIRE QU’ON DETIENT LA VERITE. LES ARTISTES NOUS OUVRENT LES YEUX ET LES GENDARMES NOUS FONT PLEURER EN TUANT NOTRE CULTURE ET NOS ENFANTS.